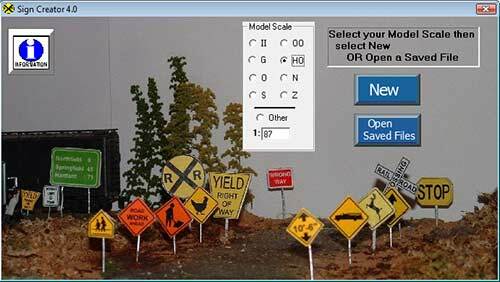 Sign Creator PC Software for Windows has over 300 Road Signs and 50 Railroad Engineer Signs to choose from. 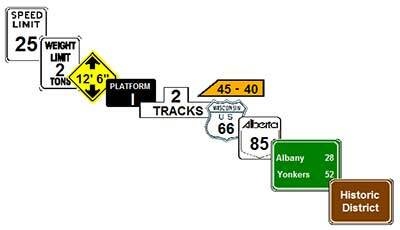 and 1950's Signs that you can add your own route numbers to. 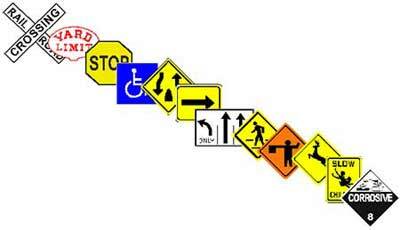 Size your custom signs for your scale, then print. We print all of our designs with an ordinary Inkjet Printer using either Matte or Glossy Photo Paper. 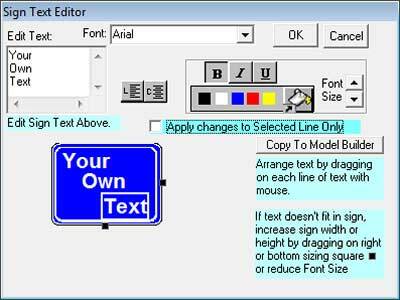 Add more realism to your layout with Sign Creator! Thanks Sam Syzdek for this great picture made using Sign Creator!